Happy St. Patrick’s Day, or as we call it, Rob Kardashian day! Today, the Keeping Up With the Kardashians star turns 32 years old, so as you grab a pint of green beer for St. Pattys, make sure to raise your glass and give a toast to the only Kardashian brother on his birthday too. Since we aren’t actually a member of the Kardashian crew, we have to settle for celebrating Rob’s birthday from the privacy of our own homes and sadly so do you. The good news is that we have something to help you get into the birthday mood…adorable photos of Rob’s greatest gift ever, Dream. 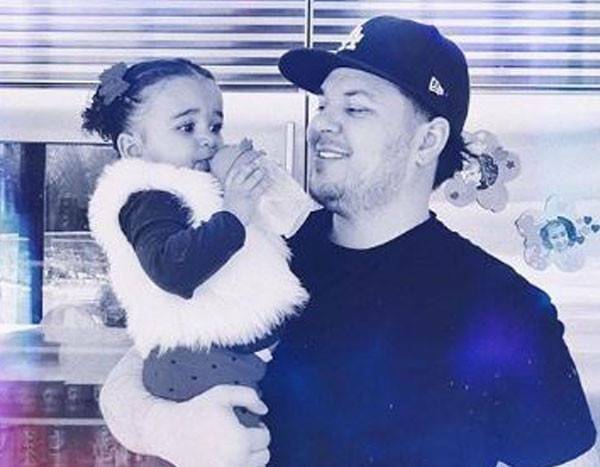 Rob and his ex Blac Chyna have the cutest little girl, who just adds to the ranks of adorable Kardashian kids that we have been lucky to see grow up in front of our eyes. What better way to honor the birthday boy than by looking back at all of his daughter’s sweetest snaps so far? It’s too adorable not to do, so what are you waiting for?